Why does Irish and Chin keep tweaking their events? Why is there a juggling event before a clash this year? If you’re going to stream the clash, why only 500 people? The first ever Caribbean Rumble went out with a bang just as dawn approached on the beautiful island of Antigua on Easter Sunday, April 1, 2018. 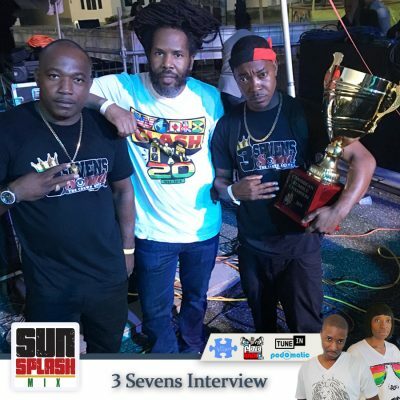 The premiere sound clash event, produced by Irish and Chin and King of the Vybz 92.8 FM, converted Sir Vivian Richards Stadium into an intriguing musical war — which saw Antigua’s own 3 Sevens Sound as the winner. We speak with Panther who had to prove how bad the sound was to other sounds on the island and they had a great ‘Rapid Burst’ round to win with some DJ dubplates! How will they prepare for World Clash? How will they represent the ENTIRE Caribbean? How many Chronixx dubplates did they voice after their win? The 2018 season of the Rumble sound clash series kicked off with a bang, seeing Mystic Sound as the new Canada Rumble champion! The popular Irish and Chin staged Rumble Series gives promising sounds a shot at International fame and slot on the famed World Clash stage. 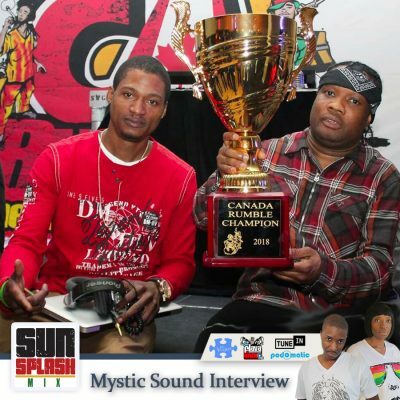 We talk to Tyrone Mystic about the showing respect, overcoming distractions during the clash and just being an overall hard working selector in Canada. We ask which artists have shown the sound respect over the years and if he is ready for the big stage in October, World Clash 2018. This afternoon we speak with selector Nico Bam Bam formerly of Stone Love, as he will head the new SoundChat Radio sound system! 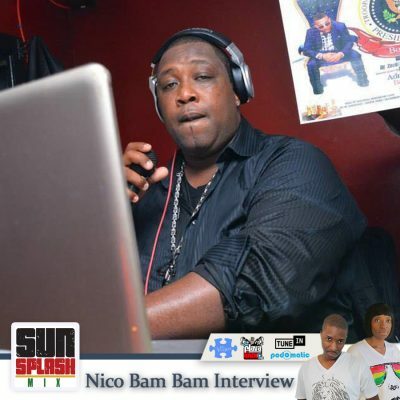 As the recent announcement has sparked lots of buzz among insiders, sound enthusiasts and Dancehall fans, find out why Nico opted to join the Irish and Chin curated sound, what the talented selector has in store and how the sound’s early warm focus will set it in a class by itself! The newest track & dubplate was Pretty Loud by I-Octane ft. J Boog from the Love n Life Album, Produced by J. August for Conquer the Globe Productions. 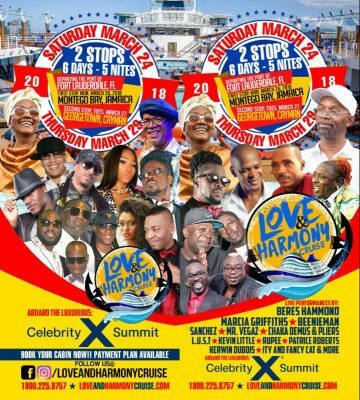 2x World Clash winners King Turbo are musically armed, dangerous and dead set on a winning streak, as they ready to compete for a second time in “Sound Clash at Sea” — the annual sound clash aboard the “Welcome to Jamrock Reggae Cruise.” Winning Irish and Chin’s World Clash grants the Canadian sound a chance to compete in the popular “Sound Clash at Sea,” where they will face off against Mighty Crown, Tony Matterhorn and David Rodigan. 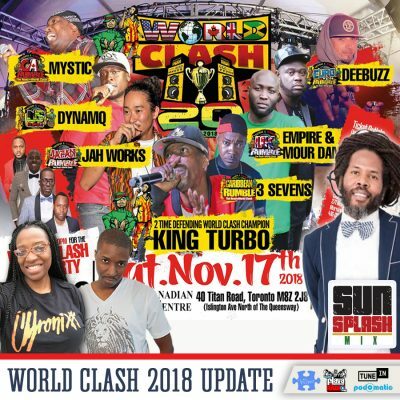 King Turbo, featuring Slingshot and Ricky Turbo, edged out a fierce line up of contenders at World Clash with just the right music selections, hard hitting speeches and overall chemistry with the crowd. 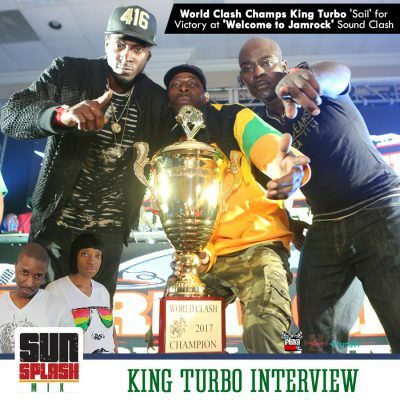 King Turbo’s mix of attributes was the perfect recipe for victory, which they aim to repeat during the highly anticipated “Sound Clash at Sea” on Thursday, November 16 (the Welcome to Jamrock Reggae Cruise sails November 13 – November 18, 2017). The Canadian sound certainly has the ability to win, as much to their credit, King Turbo is one of the very few sounds to hold 3 consecutive Irish and Chin clash titles, including Canada Rumble 2016, World Clash 2016 and World Clash 2017. The count down to Hush Weekend is officially underway! Serving as the only Caribbean and African-themed destination event in the Washington, D.C. metropolitan area (aka the DMV), Hush Weekend is set to draw thousands of revelers to the Nation’s Capital over the course of Memorial Day Weekend, May 26th – May 29th, 2017. With a wide array of 5 fun-filled activities that span 4 days, Hush Weekend will offer party goers a unique lifestyle experience, one that is certain to make a lasting impression on the Washington, D.C. entertainment diaspora for years to come.